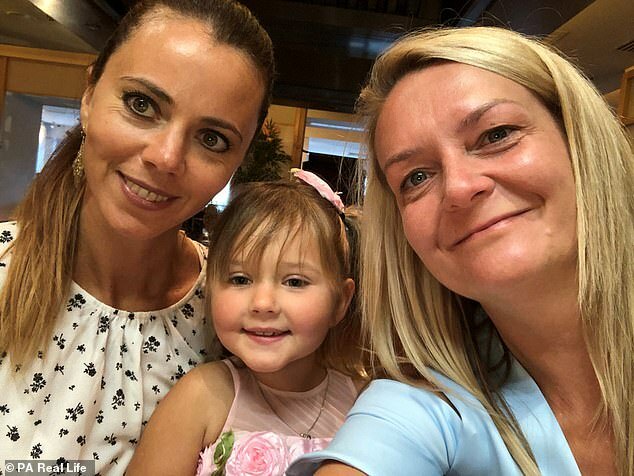 The family of a cancer-stricken school girl have sparked up a lifelong friendship with the ‘guardian angel’ who saved her life. 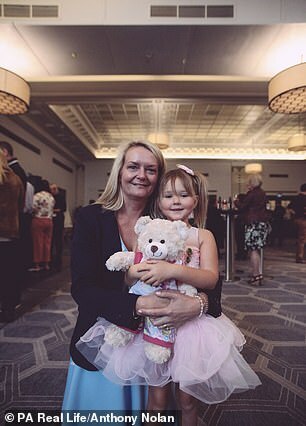 Skylah Ballentine-Brain, now eight, was diagnosed with acute lymphoblastic leukaemia at just two years old when her immune system became too weak to fight off colds, leaving her with recurrent pneumonia. 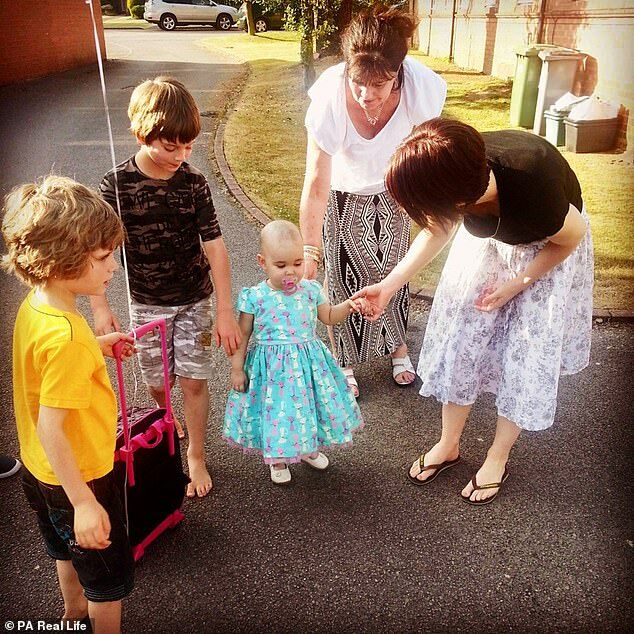 After undergoing intensive chemotherapy in South Africa – where the family lived at the time – the youngster was given the all-clear in February 2012, only for the aggressive cancer to return that October. 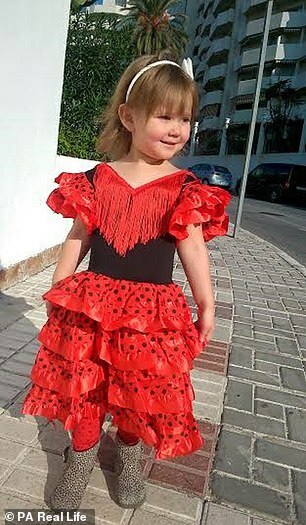 Doctors warned there was little more they could do and told Skylah’s parents to ‘let her die peacefully’. 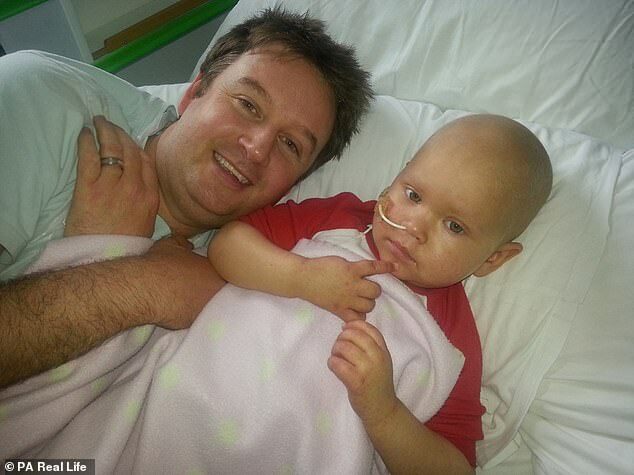 Refusing to give up, the family flew back to the UK where the youngster was told she was too ill for chemo. 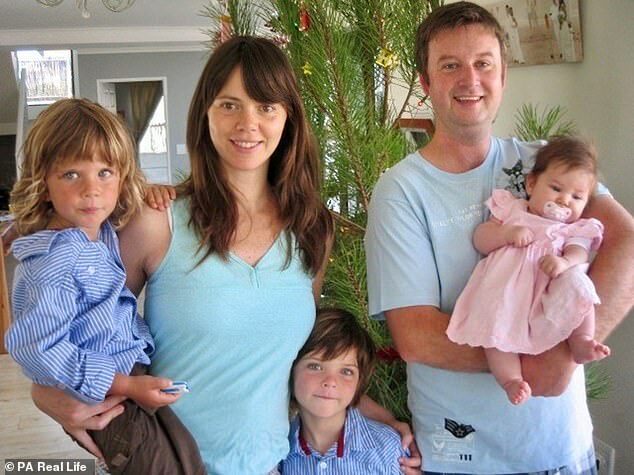 With a stem-cell donor being her only hope, the family waited anxiously for three months before mother-of-two Samantha Perry, now 44, was brought forward as a donor, with Skylah having the transplant in May 2013. 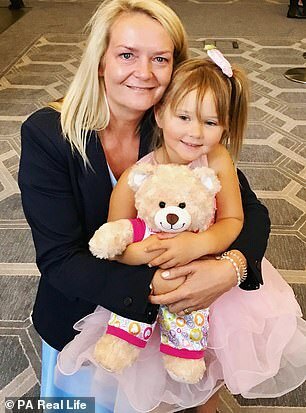 Now healthy, Skylah’s parents Zelease, now 40, and Matthew Ballentine-Brain, 44, claim Mrs Perry ‘mended their family’, with the youngster even calling the ‘guardian angel’ her ‘second mummy’. The family were put in touch after the charity Anthony Nolan passed on a Christmas card made by Skylah to Ms Perry, now 44, in 2015. Ms Perry became a donor after losing a loved one to leukaemia as a child but never thought she would meet the youngster whose life she saved. Strict rules surrounding donation mean direct contact between recipients and donors is only allowed after two years when it will be clear whether or not the transplant was a success. 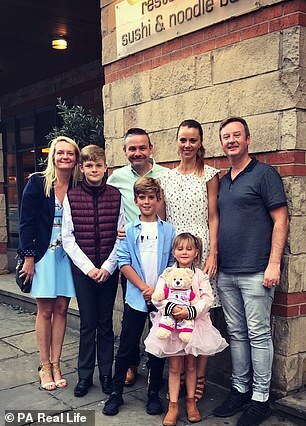 The Christmas card sparked a series of emails, letters and pictures exchanged between Skylah’s family and Ms Perry, who lives in Wickersley, South Yorkshire, with her husband John, 49, and children Aiden, 14, and Sophie, 19. And after two years on back-and-forth, the family finally met at the Principal Hotel in Manchester on September 15 last year. Although normally shy around strangers after spending so much time in isolation on hospital wards, Skylah immediately took to Samantha, who gave her a silver necklace with an ‘S’ for their initials. Ms Perry was also initially apprehensive but described their meeting as ‘wonderful’. ‘I was very curious during the years after my donation to know if it had worked so meeting Skylah for the first time was wonderful,’ she said. ‘For all of us it felt like the final piece in the puzzle, the final part of this long and grueling journey that we both, by chance, became part of. I felt really honoured that they called me Skylah’s “guardian angel” and “second mummy”. The meeting was also everything Skylah had expected. She said: ‘I knew an angel had helped me to get better when I was ill and I knew she must be very kind. 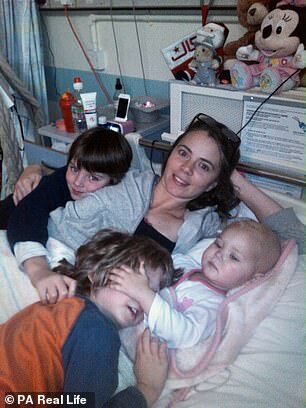 Although a happy time, the festive season is a period for Mrs Ballentine-Brain, who spent several Christmases in hospital with her sick daughter, to reflect on those awful years. 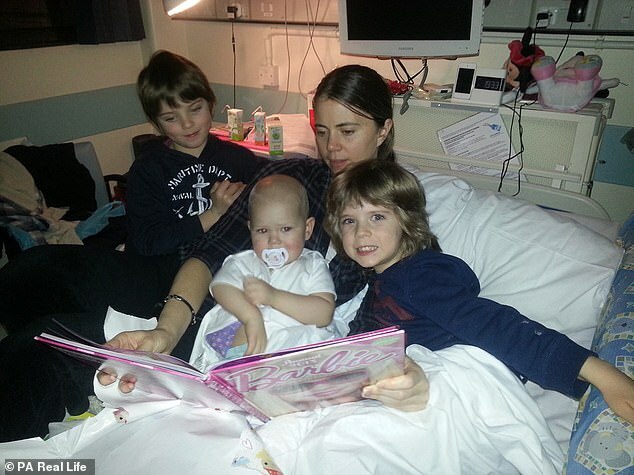 ‘We would be apart at Christmas, with Matthew looking after the boys and Skylah and I in hospital,’ she said. 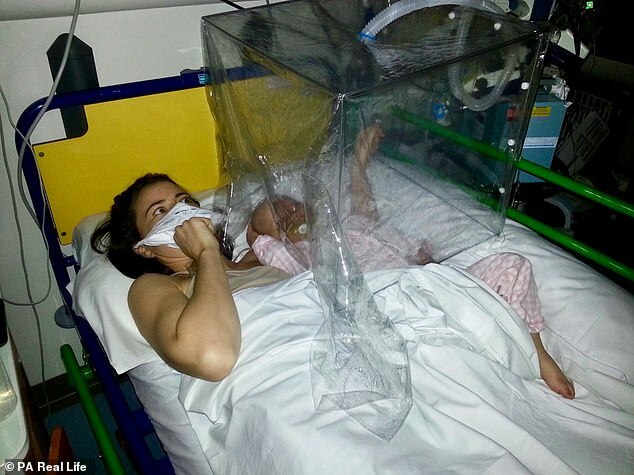 Skylah’s problems began at just six months old in May 2011 when she developed a series of nasty colds. 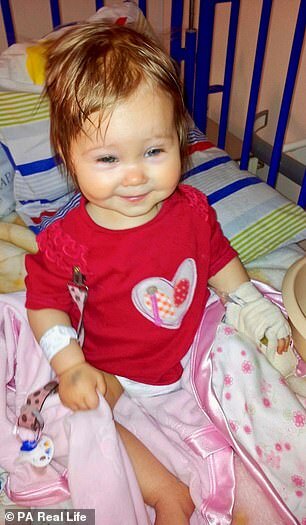 Her parents – who moved the family from London to Cape Town in 2005 to be nearer Mrs Ballentine-Brain’s parents – were not overly concerned until Skylah developed persistent pneumonia. 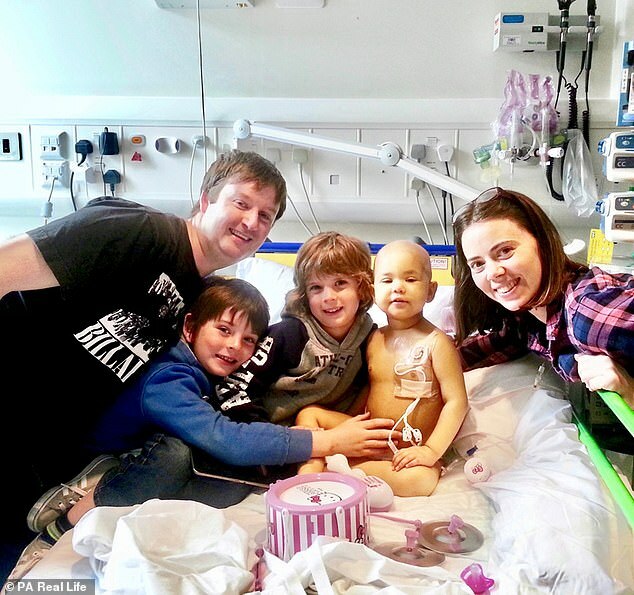 Tests carried out in August that year revealed the youngster’s weak immune system was being caused by acute lymphoblastic leukaemia – a blood cancer that affects the white blood cells. 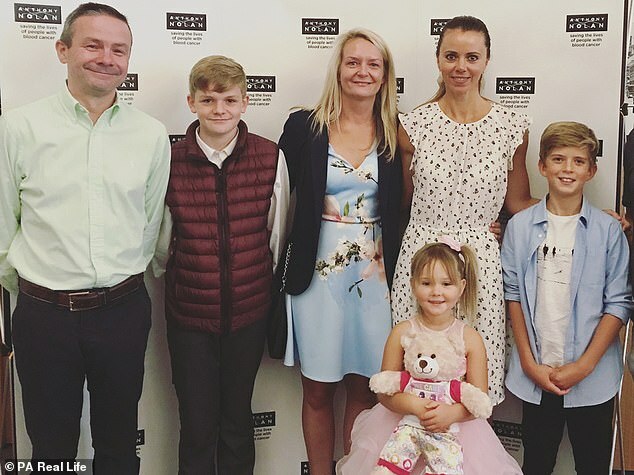 Speaking of the diagnosis, Mr Ballentine-Brain said: ‘It was absolutely heartwrenching, an incredible pain that courses through your whole body. 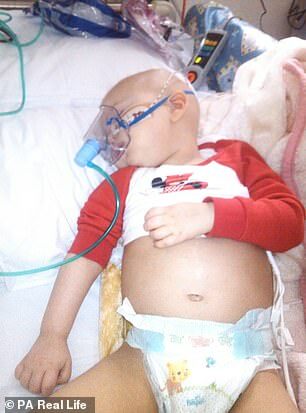 Not even one-year-old, Skylah, who has dual nationality, started chemotherapy at the Red Cross Hospital in Cape Town. Her mother lived with her on the ward, sleeping beside her in a cot each night. 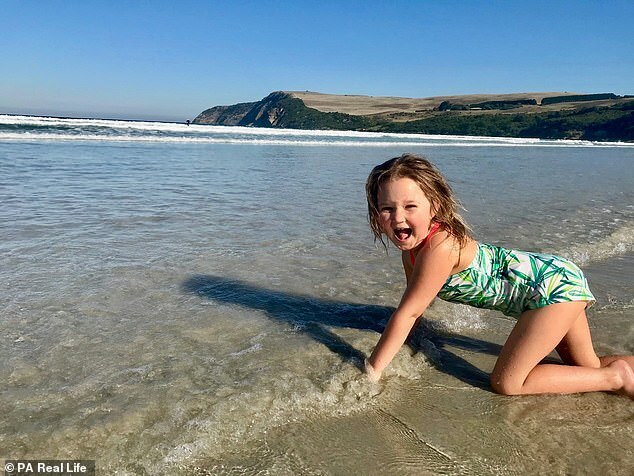 After being given the all-clear, Skylah’s parents’ worst fears were realised when doctors told them the highly-aggressive cancer had returned. ‘That was appalling,’ Mrs Ballentine-Brain said. 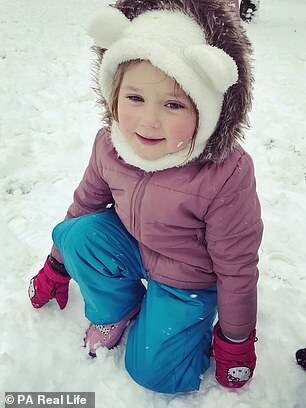 ‘It was worse than hearing she had leukaemia because it just felt like she’d been through so much already and this evil cancer was still doing all it could to take her away from us again. But the couple vowed to do everything in their power to help their daughter and decided she would get the best possible treatment in the UK. They therefore sold up and flew to Birmingham, where Mr Ballentine-Brain’s company has an office. Once admitted to Birmingham Children’s Hospital, Skylah’s family were told she was so ill that chemotherapy was pointless. With a stem-cell transplant being their only hope, the family were given another blow when they learned Skylah has a rare tissue type, with only a handful of donors in the world being suitable. But in January 2013, Anthony Nolan told them a suitable donor had become available. 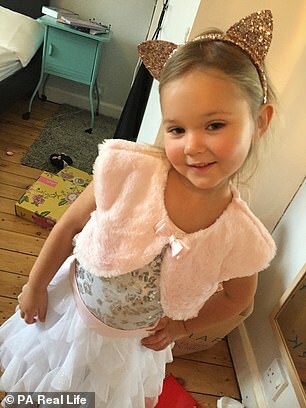 Skylah was forced to stay in hospital for another year due to a series of infections but finally had the procedure in May 2013 at Great Ormond Street Hospital. And by September the following year, she was well enough to start primary school. For Mrs Ballentine-Brain, the ordeal has been an emotional rollercoaster. She said: ‘I just hope that our story can give hope to people who might be going through hell now and also be a call to action for anyone who thinks about donating stem cells as Matt and I now are. Terence Lovell, director of engagement at Anthony Nolan, said: ‘We are happy Skylah is doing so well. None of this would have been possible without Sam, who gave Skylah and her family the greatest gift imaginable, the gift of life. ‘We are aiming to raise more funds, more awareness and, recruit more young people to the Anthony Nolan register. Find out how to become a stem-cell donor here.